In the world today, the threat from ballistic weapons has become more and more common, from Security Personnel protection, robbery to civil conflict and major conflict’s such as we have seen in Afghanistan and Iraq and many other countries around the world. 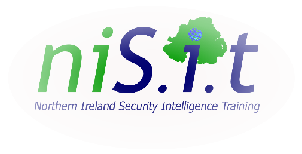 NISIT provide specialist solutions for this market but more importantly for the protection of high risk areas and structure where the highest threats on premises are common. Our system is unique and has been proven to stop up to and including .50 calibre repeatedly without degradation. “Soft Armour” is a unique, patented product which uses a ceramic ball material that can protect personnel and sensitive equipment against projectile attack with small calibre, amour-piercing ammunition. Soft Armour is “self-healing” meaning it can take several hits in the same hole without any degradation of protection providing unequalled protection against ballistic threats. Soft Armour has been created by experienced specialists with a long history in security products for military, police and civilian purposes. It is an environmentally friendly and ricochet-free projectile protection system that is easy to carry, handle, install, repair, reuse and store. The protection system is useful in military, police and rescue organizations as well as civilian environments. Soft Armour is available in three different protection levels that correspond to the common requirements of national and international standards for projectile protection. Depending on the type of projectile protection that is needed, a normal protective layer of 70-125 mm thick is all that is required. Soft Armour has many advantages over its competitors. The clearest advantage is the simplicity of transport, assembly and disassembly. In addition, Soft Armour is easy to add to an existing protection system thus increasing overall safety. Moreover, normal assembly does not require specially trained personnel and no special requirements for construction need to be performed. Extensive testing and evaluation has been conducted on our Ballistic protection systems however these can only be released to approved clients and individual companies. Please click the link below and request further info which we will then make available.